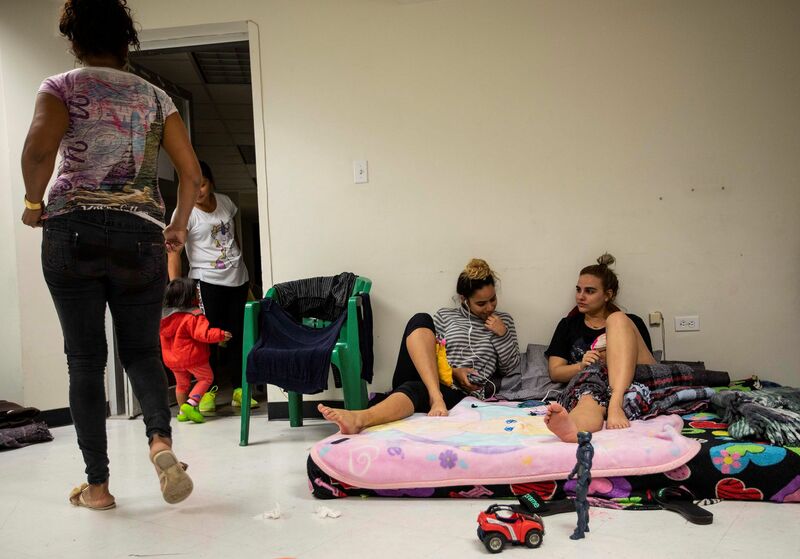 Cuban migrants last March 23, 2019, in a shelter on the border of Ciudad Juárez, in the state of Chihuahua (Mexico). Photo: Alejandro Bringas/EFE. 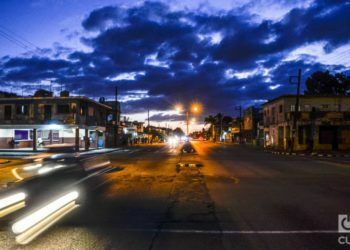 In an unprecedented phenomenon in Mexico, the border city of Ciudad Juárez is welcoming thousands of Cuban migrants waiting to request or resolve their asylum application in the United States. “They have welcomed us here very well. 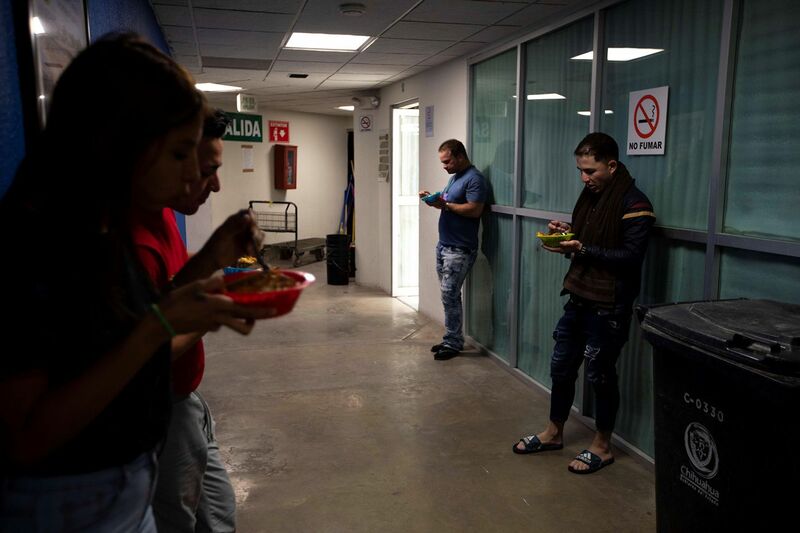 The food given to us has a bit of chili, but that is not their fault,” Juan Carlos Flores, a Cuban migrant who, with his wife, has been in this city in the northern Mexican state of Chihuahua for more than a month, told EFE news agency this Wednesday with a smile on his face. Flores said he had chosen this border crossing ―which these days is being threatened with the border closure by President Donald Trump― when he found out that asylum seekers apparently were crossing quickly and without risks. 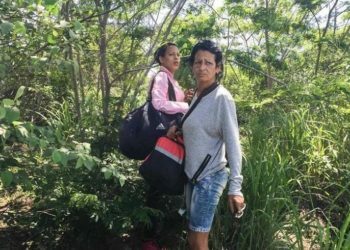 The couple decided to migrate because they did not like Cuba’s current system, about which they said it had “its pros and cons” and they preferred to leave their country in search of a better job opportunity in the United States, for many the dream land. “Juárez had even stopped being a city where it was no longer very important for migratory flows to the United States. Seeing us again at the center of migratory flows was something very surprising,” Jesús Peña, a researcher from the Department of Population Studies of Colegio de la Frontera Norte (COLEF), told EFE. According to the migration expert, the current situation was in crescendo after the arrival of 100 Cuban migrants to this border in October last year. This first group of 100 migrants was allowed to enter the United States in less than 24 hours after stepping on Juárez territory. “Those people left Brazil for Ciudad Juárez because the first migrant caravan was in Tijuana. 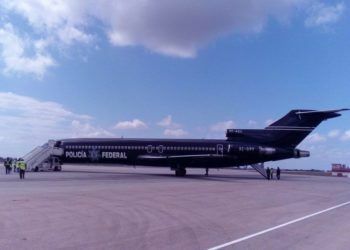 I think it was easier for them to get to other borders, there were even more flight connections and bus routes to Ciudad Juárez,” said Peña. 1. Cuban migrants receiving food last March 23, 2019, in a shelter in the border city of Ciudad Juárez, in the state of Chihuahua (Mexico). Photo: Alejandro Bringas/EFE. 2. Cuban migrants receiving food last March 23, 2019, in a shelter in the border city of Ciudad Juárez, in the state of Chihuahua (Mexico). Photo: Alejandro Bringas/EFE. 3. Cuban migrants receiving food last March 23, 2019, in a shelter in the border city of Ciudad Juárez, in the state of Chihuahua (Mexico). Photo: Alejandro Bringas/EFE. Starting with this first arrival of migrants of Cuban origin, the word began spreading among their relatives and friends that access was quick and simple through the Ciudad Juárez-El Paso border. 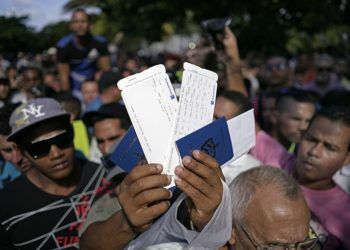 The Cuban migrant population took advantage that that same year Panama opened the 30-day shopping visa card and joined other migratory flows from Central America. 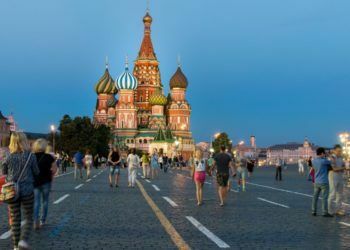 In buses or even in airplanes, they began arriving at this border and were part of the more than 10,200 migrants that the State Population Council (COESPO) calculated since the last days of October 2018. “While other places receive people of other nationalities, here we are receiving mostly Cubans,” said the general coordinator of the COESPO, Enrique Valenzuela, at a press conference. He also stated that due to the high number of transit migrants, 10 shelters had to be put up in the city in order to be able to attend to this population in a dignified and orderly manner. In February this year, a temporary shelter was installed in the Bachilleres Gymnasium, where more than 500 migrants were accommodated. This, after the Casa del Migrante ―a civil association that has traditionally provided shelter for migrants― reached its maximum capacity. 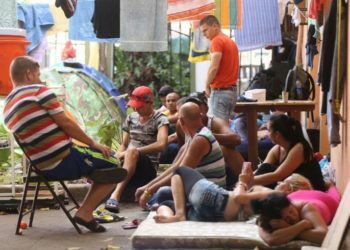 Now, in the gym that used to have hundreds of mattresses to sleep on its floor, there are only 90 migrants left, all of Cuban nationality, who sleep in five rooms. 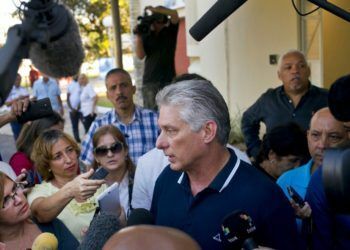 “It’s heartbreaking because you are Cuban, you have your family, your mother, your brothers and sisters, and nobody wants to leave their homeland. But hey, when you have to do it, you have to do it,” he said with tears in his eyes. 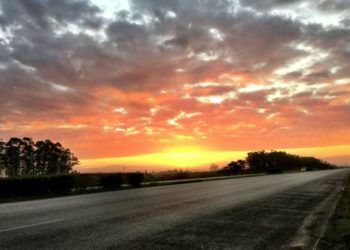 For the COLEF researcher, Adriel’s reality is that of many other migrants who, due to the harshness of leaving behind their families, is joined by the harsh reality of the country they long to reach. “This migration that is coming is no longer a labor migration, it’s no longer simply the idea of ​​the ‘American dream.’ It has to do with the socioeconomic decay of many countries that are no longer viable for a certain type of population,” said Peña, referring not only to Cuba, but above all to the migrant caravans, mostly made up of Central Americans. 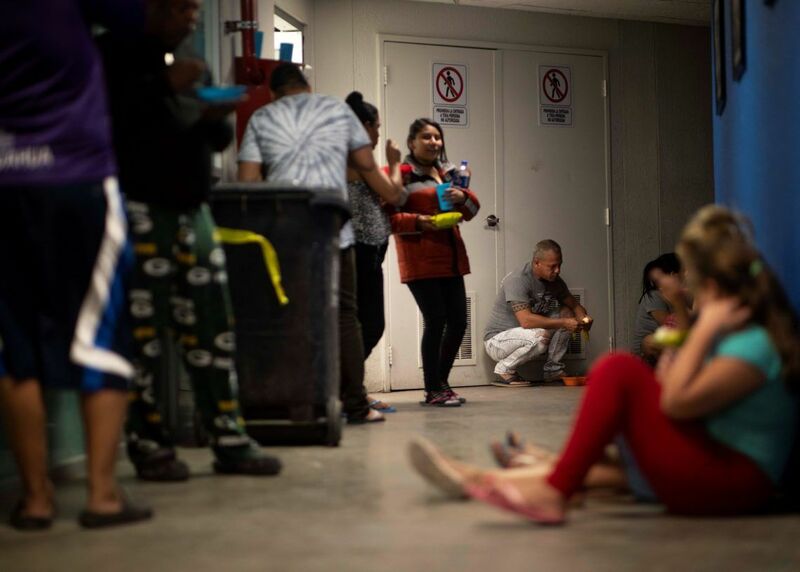 The situation migrants have been living for months in Ciudad Juárez coincides these days with the latest outbursts of President Donald Trump, who has threatened to close the border and accused Mexico of doing “nothing” to put a stop to the phenomenon.